Peruvian - Cantano was nothing short of spectacular! Dripping with luster from bonnet to blanket, from his tail to his toes! Coupled with flawless conformation, this stud was truly one of a kind with his incredible presence and impressive maroon color. 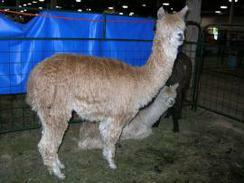 His sire, Meteor, produced crias in nearly every color on the chart, including gray and black! 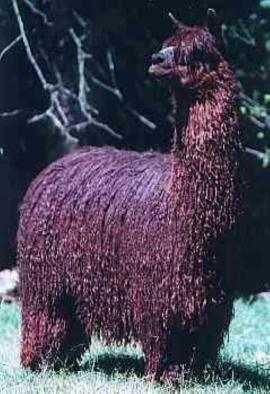 Cantano’s dam, Peruvian Phlox, produced colored offspring every time she was bred to a colored male. 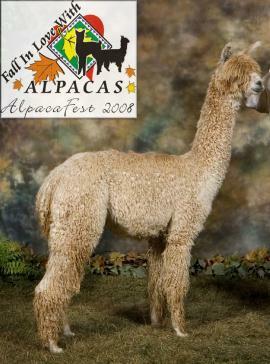 Cantano of Peru, a phenomenal Suri herdsire, was purchased by Alpaca Ventures LLC for the 2002/2003 World Record Selling Price of $265,000. Incredible density and luster with flawless conformation and unparalleled fiber quality, Cantano was the cornerstone of their Suri breeding program. He produced 100% Suri offspring with 95% color, great heads and tight, lustrous penciled locks, a great track record! 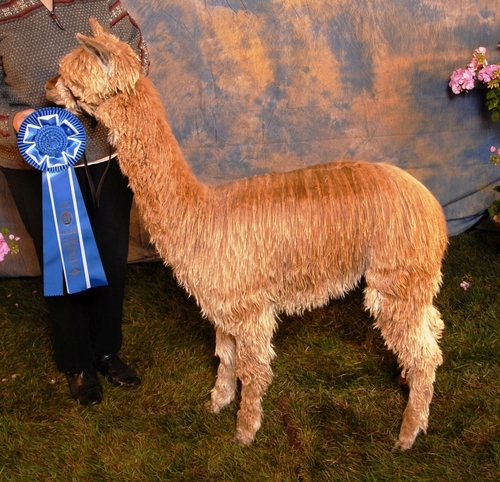 Cantano of Peru is no longer living due to a tragic farm accident, making his genetics even more rare. 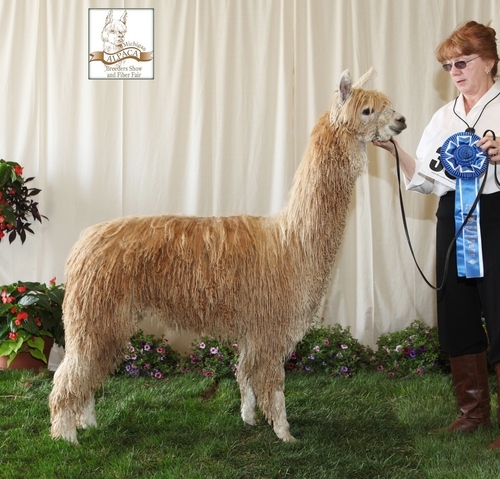 1/8 Bolivian, 7/8 Peruvian - Tootsie Roll is dark brown, sired by PVA The Prince of Ghirardelli, with PPeruvian Uribe as her maternal grandfather. 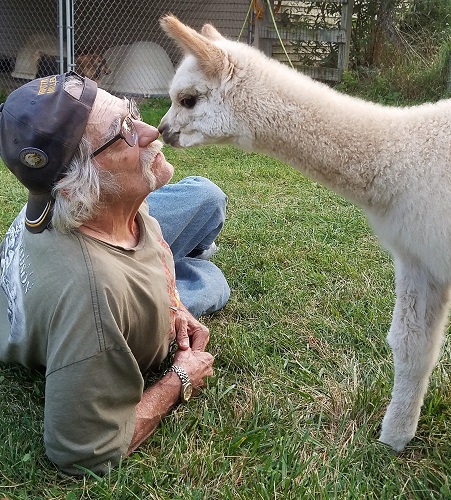 She has been a great color producer and this past Nov. she produced a stunning true black female cria that Alpaca Ventures will be showing in the Spring. Trinity is our foundation suri purchased at the 2006 AOBA Nationals Auction. 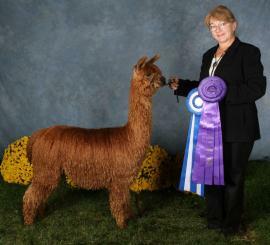 Her sire was the 2002/2003 world record selling herdsire, Cantano of Peru, that sold at auction for $265,000. With two dark parents, Trinity was expected to be able to reproduce color darker than herself, and she has delivered on that promise. Better still, she has given us four beautiful girls, one a light fawn multiple Blue Ribbon winner, the second a medium brown dripping with luster multiple Color Champion, the third and fourth both gorgeous fawns that earned Blue Ribbon in their show outings. 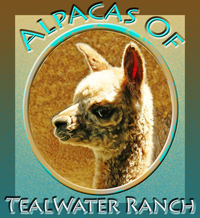 Trinity was never shown as we were just starting out, but every cria she has given us has been FEMALE and BLUE RIBBON winners! She is a beautiful, gentle girl, and such a good mother that she even allowed a precocious cria from another dam to nurse! Her offspring add powerful and rare genetics to any quality-focused Suri breeding program.